This charming two bedroom, two and a half bathroom condo has some of the best upgrades in the complex! The kitchen features stainless steel appliances and granite countertops. There is a half bath and built-in desk on the main floor for your convenience. Head upstairs to two bedrooms, a full bath and a 3/4 bath with granite countertops. Stackable washer and dryer on this level means you'll never have to carry laundry up or down stairs again! 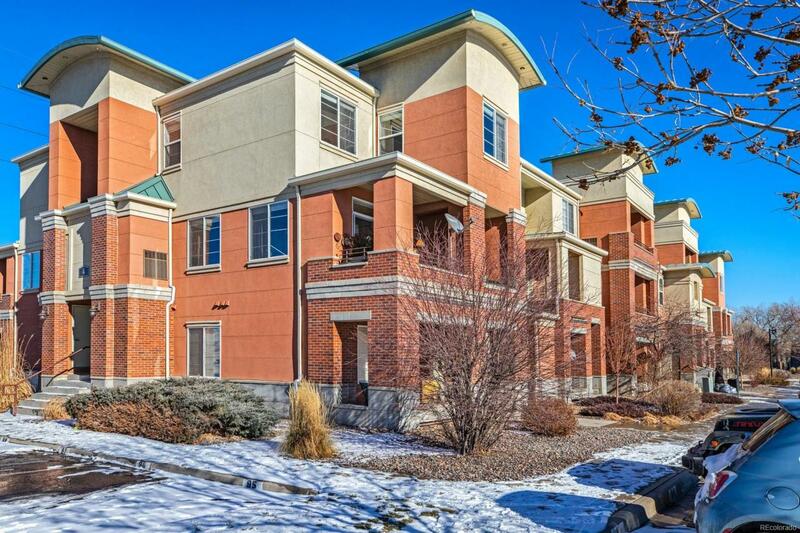 This unit includes a deeded parking spot and a detached one car garage. The community features a clubhouse, fitness center, and community pool. The 40th and Colorado light rail station is only .4 of a mile from your front door, talk about an easy commute!